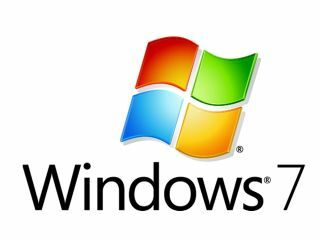 Windows 7 helped Microsoft to a 35 per cent jump in quarterly profit, but that wasn't enough to keep everybody happy, with shares in the company falling as the results were announced. With Windows 7 both critically acclaimed and selling well, Microsoft was expected to benefit hugely from a resurgent tech industry. And although a record third quarter revenue of $14.5 billion (Microsoft operates on a summer-to-summer financial year) was a 6% increase year on year, share prices fell with the news. "Windows 7 continues to be a growth engine, but we also saw strong growth in other areas like Bing search, Xbox LIVE and our emerging cloud services," said Peter Klein, chief financial officer at Microsoft. "Our record third-quarter revenue along with continued rigor on cost management resulted in exceptional EPS growth." Windows 7 demand put revenue for the operating system division up 28 per cent on January last year, with more than 10 per cent of PCs worldwide now running the latest OS. "Business customers are beginning to refresh their desktops and the momentum of Windows 7 continues to be strong," said Kevin Turner, chief operating officer. "We are also seeing tremendous interest in our market-leading cloud services for business."